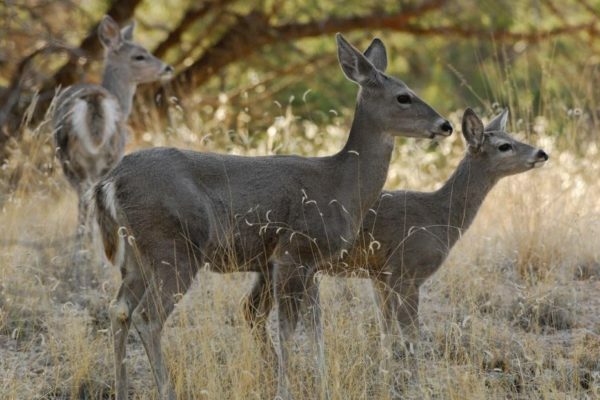 Conserve and Protect Arizona strives to conserve and hold in trust, all wildlife for future generations. By the 1930’s the Gould’s turkey population had disappeared from Arizona’s landscape. Since 1983 the Arizona Game & Fish Department has successfully restored the population from zero to one thousand and counting. The work Arizona Game & Fish Department has done in conjunction with local tribes and US wildlife agencies have restored Apache Trout habitats, which were once extinct in Arizona. Once considered a pest and eradicated from Arizona’s grasslands, the Black-tailed Prairie Dog, due to successful reintroductions by the Arizona Game & Fish Department, is back home as an essential part of the grasslands ecosystem. In 1967 the Pronghorn Antelope was listed as an endangered species. The Arizona Game & Fish Department through scientific study of landscape, terrain, and vegetation, leads the nation in successful translocation practices, and growing more antelope. The Arizona Game & Fish Department in an historic and innovative collaboration with the U.S. Fish and Wildlife Service along with Federal and State transportation agencies, have significantly increased the safety for motorists and the local bighorn sheep population by building three wildlife overpasses and funnel fencing to keep sheep off the roads and connected to their habitat. Sometimes when you are planning for the future, you need to think about where you have been and how you got to the place you are now. Then, with that knowledge, you can chart a course for “Going Forward”. Early in 2017 all of the indicators were telling us the world’s largest animal rights organization was coming to Arizona. They were coming here to take another step in their quest to end all hunting. This time we were the target and the next step in their Unholy crusade. The Humane Society of the United States (HSUS) is a sham, in that they do not support animal welfare shelters. Instead they use their name to dupe a caring public into believing that this is their mission. This is a business model that annually brings in excess of $150,000,000, which is used to pay its salaries, fund its offshore bank accounts, to raise more money, and siphon off dollars from the local animal shelters, the ones who are doing all of the work caring for dogs and cats. A few of us began to think about how we could face this challenge and in someway be successful in this epic David and Goliath battle. Meetings were held in early March and with most Sportsmen overwhelmed, a few of us began to buckle down and evaluate the options.We also didn’t know exactly what it was that we would be facing. We knew it would be an initiative; but about what, we lacked specifics. Their history clearly pointed to mountain lions being the focus. While this would prove true, they also included bobcats and some other already fully protected species. Jaguars, ocelots, and Canadian lynx were added to make it appear as if more protection were needed for all wildcats. We also knew their message would resonate with uneducated voters, and have the same success as their fundraising appeals. It would be on us to tell the truth and be able to get the message out with enough frequency to the Arizona voters. This would take a lot of money! 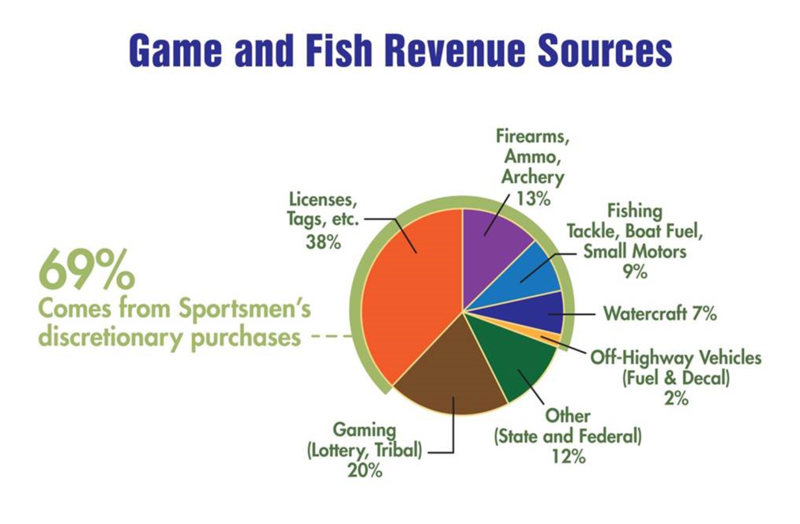 Sportsmen and women have raised billions for wildlife projects; but only a very small fraction of that for political issues. When you are faced with raising three to five million dollars for a campaign, which might have a chance of defeating the HSUS, you quickly understand the need for finding other options. We were very fortunate to have an Arizona Game and Fish Commissioner as one of those interested in finding a way to defeat the HSUS. Kurt Davis stepped forward with a concept and contact for a different type of campaign. Kurt and Drew Chavez of Petition Partners became an integral part of the campaign decision-making. This would be a campaign to keep the HSUS initiative off the ballot. While unconventional, with the initiative process we have here in Arizona, this plan made sense to a few informed and somewhat desperate defenders. After discussions with no other viable options, other than raising millions of dollars for a traditional campaign, a handful of sportsmen made a commitment to make the Davis option a reality. Rich Williams, John Koleszar, Eddy Corona, Brad Remfrey, Jim Unmacht, and myself agreed to find a way to make this happen. We had to find the dollars necessary to fund the campaign and stop the HSUS from qualifying their Wildcat initiative for the ballot. We went to some of the wildlife conservation organizations we were a members of. The Arizona Desert Bighorn Sheep Society, Arizona Elk Society, Arizona Deer Association, and Floyd Green, a houndsman, all committed to make this happen. With these commitments and the Sheep Society’s pledge to cover the majority of any shortfall, our “Decline to Sign” campaign was launched. Arizona Sportsmen for Wildlife Conservation (AZSFWC), with its 35 organizations, all joined in opposition of the HSUS. AZSFWC led the early coordinated effort to contact sportsmen and women and get the word out. Tracy Unmacht, the AZSFWC administrator, began to use social media to shape the campaign. Other conservation organizations and a very savvy and determined group of houndsmen and women, all eager to challenge the HSUS effort, joined with AZSFWC. As time went on other sportsmen conservation organizations pledged funds to the cause. Not all of those came through with their pledges; but those who did were the Arizona Antelope Foundation, Yuma Valley Rod and Gun Club, Arizona Bowhunters Association and the AZ Chapter of the National Wild Turkey Federation. We also had some individuals who began to contribute. It’s possible we will receive some of the earlier pledges that were made but are not in hand as this story was written, only time will tell. Not knowing if we were going to be successful keeping the HSUS off the ballot, but needing to be engaged for the continued fight whatever it might be, we formed a Campaign Committee and a 501(c)(4) non-profit political organization. Conserve and Protect Arizona now became the leader for the campaign against the HSUS. To help us with the additional workload, we brought on two new board members. Tracy Unmacht and Charlie Kelly joined us and became welcome additions. As 2018 arrived our efforts were having an effect on the HSUS signature gathering. They were far behind the numbers they needed to achieve to put their initiative on the ballot. We were doing everything possible to insure people knew the real story and reason for their effort. All of this was being done behind the scenes in an effort to stay under the radar. We had denied them the use of the media by not sensationalizing the issue and making it newsworthy. As much as they tried to bring a petition-gathering firm on board, they couldn’t get it done. Petition Partners and its network of business related associates outmaneuvered them in every way, and at every twist and turn. It was this focused expertise that shifted this campaign to our advantage and ultimately made it impossible for the HSUS to achieve their goal of putting their anti-hunting and scientific baseless initiative on the ballot. Another issue that benefited our campaign was the HSUS morally corrupt national leadership. For sometime it had been rumored that the HSUS was fraught with sexual harassment issues which started at the top with there President and CEO Wayne Pacelle. Ultimately their Board of Directors forced him to resign. However this only occurred because some of those same directors resigned and pressured HSUS donors to bring a conscience to the majority of the board members remaining.